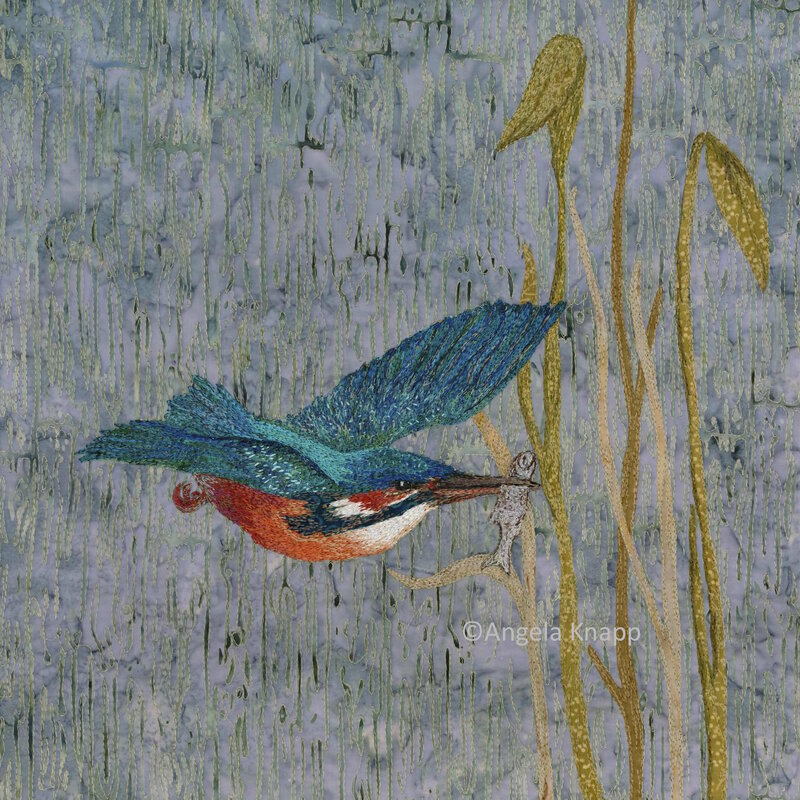 There are few birds in the UK as strikingly beautiful as the Kingfisher. I have only been lucky enough to see one and even then it was fleeting. Very few birds live longer than one breeding season. Most die from cold or lack of food. A severe winter can kill a very high percentage of the birds. Because they are high up the food chain they are extremely vulnerable to a build up of chemicals in their food and river pollution. This limited edition giclee print measures 35 x 35 cm (with an additional border, fits, when mounted into a 50 x 50 cm ready made frame. The price includes postage and packing within the UK. The print will be sent rolled and wrapped in tissue in a sturdy tube. Sent using a tracked service requiring a signature upon delivery.